Edward Maisel, Director of the American Physical Fitness Research Institute. Alexander Technique sessions show you how to sit, stand and move in a more balanced and co-ordinated way, so that back and neck pain are relieved. In a surprisingly short space of time The Alexander Technique will unravel you, showing us how to regain your natural posture and the easy co-ordination. 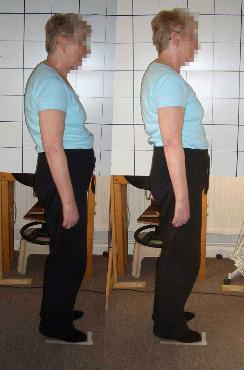 With practical help you begin to understand how to stop harmful habits of posture and co-ordination. This is usually done through a combination of demonstration, verbal instructions and gentle guidance with the hands. The latter is especially important to give you a reliable experience of what it actually feels like to use your body correctly. As a result you allow the body to work in a freer and more natural way. Once this has become established it is possible to apply the principles to more complex and demanding situations. The most frequently asked question is “How many lessons do I need? All teachers work differently and as an experienced teacher, I can show you very simple skills that quickly allows you to release tension and to use your body in a more efficient, less tiring way. My unique 10 stage programme can show you how to regain your basic co-ordination. As part of this programme I will give you handouts so that you have a detailed record of your sessions. This first lesson establishes your basic structure and what supports you, what is ‘core support’ and what it actually means. This establishes the basic functional structure to balance the head and release the spine so that changes can take place. Having established your support we can then look at muscular release and how to stop interferance to your support. In this session, you will release muscular tension in the hands and arms so that your shoulders are able to float up and back and neck tension is released. Your relationship to the ground supporting you. How your feet support your frame has a very direct effect on how your body is balanced. Even light touch on the sole of the foot elicits the supporting reactions of the leg. With conscious attention we can receive a lot of information about the support of the floor and the quality of our contact with it. This can have a marked effect on our balance. Two muscles form a vital connection between the upper leg, the pelvis and the spine. Called Psoas and Iliacus, they are some of the few muscles that need to be active when we stand quietly. In movement, they are essential stabilisers of the upper body on the legs as well as taking part in lifting the legs. It is this combination of roles that makes them vital. Good use of these muscles brings about an opening and release of the lower back and the legs can move with greater freedom. Putting it all together and reviewing your series of lessons and discussing any ongoing work or maintainance you may need.